Remarks: State Office has scattered records earlier than 1857. Records before October 1, 1907, are very incomplete. Additional copies of the same record ordered at the same time are $3.00 each. Customers should use a state marriage certificate application form to apply. A copy of a valid photo ID and a signature is required of the applicant. 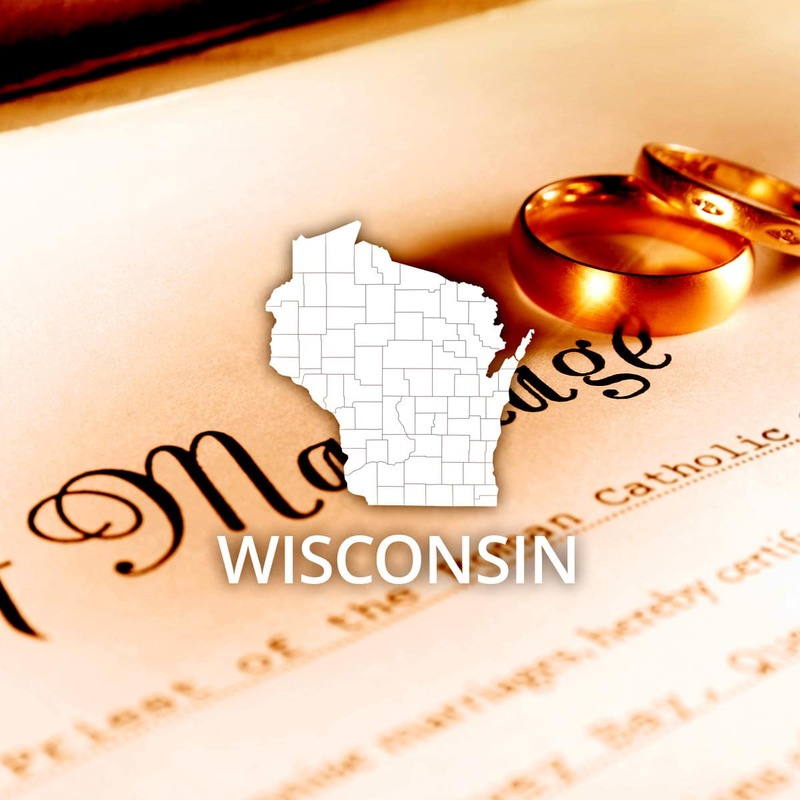 Personal check or money order should be made payable to State of Wisconsin Vital Records. A stamped, self-addressed business size (#10) envelope should be included with the request. Information on how to obtain certified copies including application forms are available via the internet at the at the Wisconsin Vital Records Services website.